Calvin Klein uses male models. Victoria’s Secret uses its Angels. Andrew Levine uses Stan Lee. If there is one person I wouldnt want to market my cologne after, it’s a 90 year old man. I’ve never heard someone say “I bumped into a 90 year old man today and boy did he smell fantastic!”. Don’t get me wrong, the man is an American hero. Hands down one of the most creative minds in history. But I do not want to smell like him. I imagine he smells like a mixture of aqua velva aftershave and death. 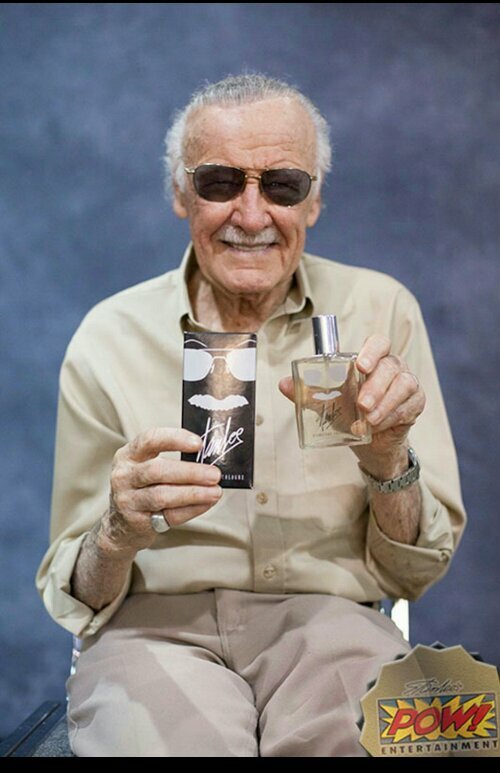 Using Stan Lee as a cologne model is like hiring OJ Simpson to sell your new knife set: it just doesn’t work. Apparently the goal here is to release different fragrances based on the characters Mr. Lee has created. Smart move, except for the fact that the picture above is being used to spearhead the campaign. When I look at that picture I don’t think of cologne. I think of how horrible Stan Lee must smell. Thanks for ruining an American icon Andrew. What’re you going to do for an encore, spit on the American flag? Beat up my grandma? I hope Stan Lee’s death smell haunts you for the rest of your days. P.S. Matt will singlehandedly keep this fragrance company in business. The king of impulsive buying.